How often do you see a really neat design online, get excited and then say to yourself “well, that’s great but I can’t afford it”? This upside-down bookshelf design was created with you in mind: easy to make and a great way to add something unconventional to home. 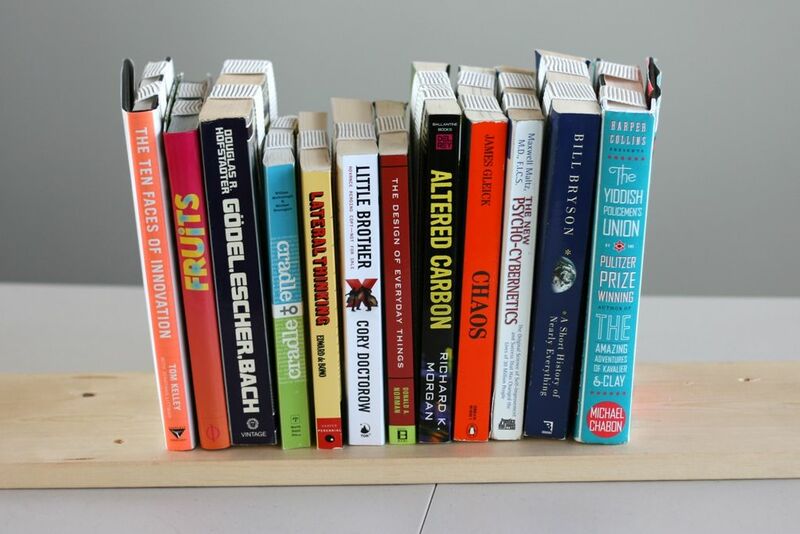 A tutorial on Instructables makes it easy as can be to craft a fun inverted bookshelf for your own home using materials you might already have laying around. 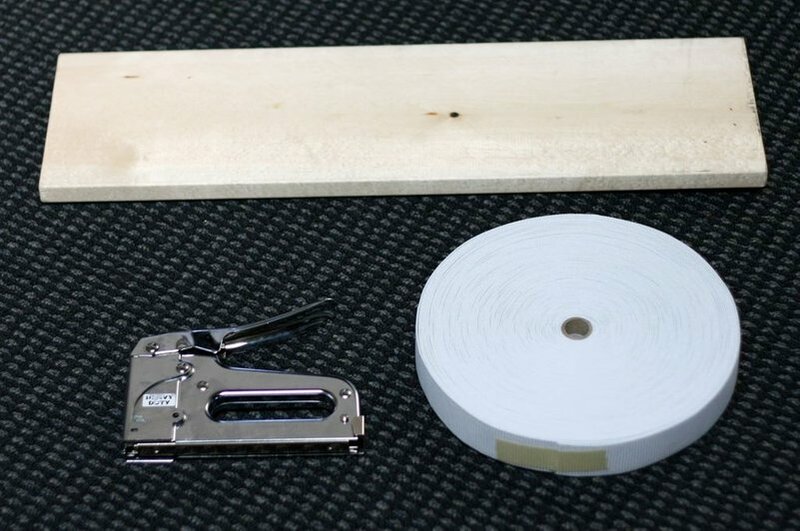 Some elastic, a board, brackets and a stapler are the essential elements to this remarkably simple DIY bookshelf project. In short: this is made of stuff that many of us already have on hand or can purchase inexpensively at any hardware store. 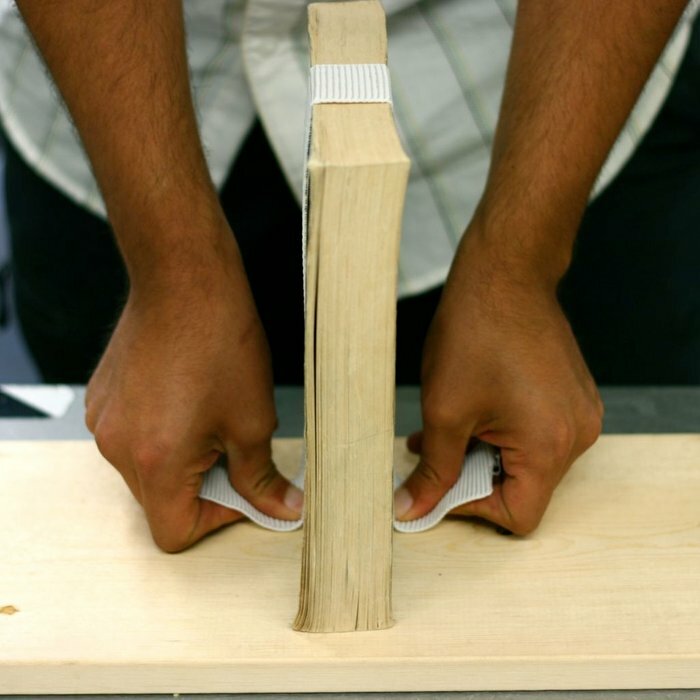 You also don’t have to have any carpentry skills or serious crafting chops to pull it off. It’s similar to those “floating bookshelves” that hide a bracket within the cover of a book, but allows you to display more books at a time, and the effect is similarly spooky. The result: a book shelf that holds as few or as many books as you want quite easily, appears to ‘hang’ them impossibly above and does no damage to your favorite volumes. 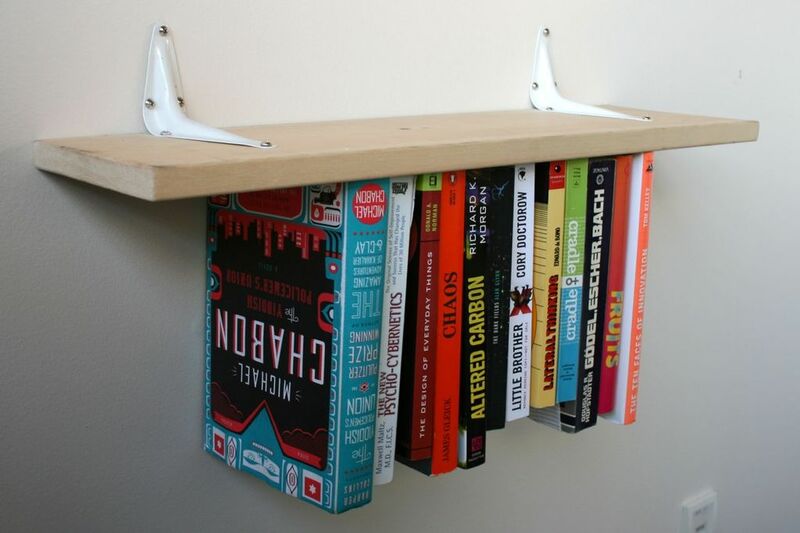 Books are also easy to add to and remove from the finished wood shelf.